Despite the fact I am not a big baseball fan, I do love a challenge. Thankfully, the Texas Rangers have a lovely, simple logo that I was able to more or less replicate. Since it's Football Sunday at our place, I had plenty of time to try to make a Rangers logo. Awesome!! You did a great job with the challenge! 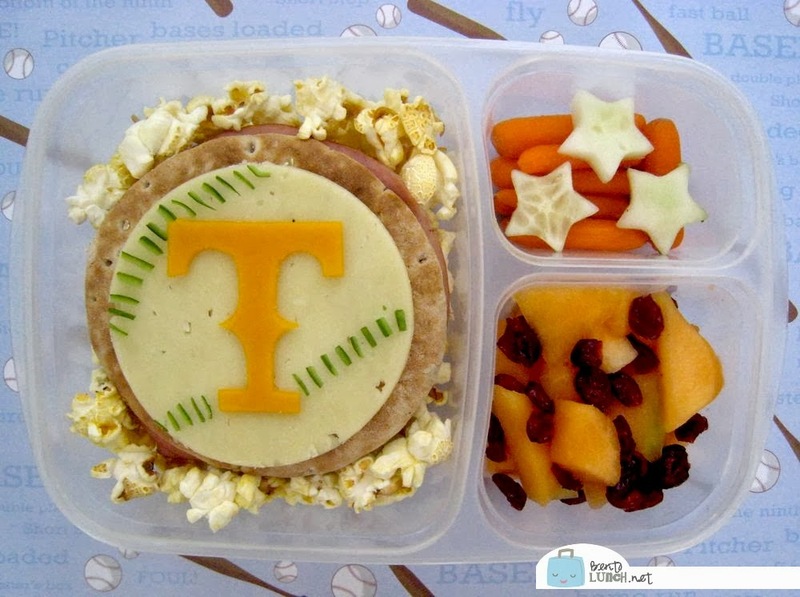 Oh that is an AWESOME bento!!! Did you cut the Texas "T" freehand? You did such a great job!! Shannon you rock! This bento is fabulous, your so talented!